Some years ago I discussed the former Benin Empire (not to be confused with the present-day "Republic of Benin"), its premier nationality, the Edo or Bini people, and highlighted some musicians from that area. It is justly renowned for its artwork, much of which has resided in the British Museum since the conquest and looting of Ubinu, present-day Benin City, in 1897. Nigerian highlife superstar and Benin City favorite son Sir Victor Uwaifo is an avatar of Edo culture not only in the musical sphere but in other fields as well - he's a professor of Fine Arts and bronze casting at the University of Benin City. He got his start as a musician in the legendary Victor Olaiya's band in the early sixties and went on to play with E.C. 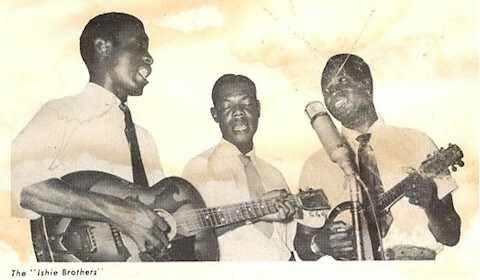 Arinze before starting his first band, the Pickups, in 1963. His smash hits "Joromi" and "Guitar Boy," with the Melody Maestros (later renamed the Titibitis) in the late '60s, and his invention of the ekassa and akwete styles among others, cemented his reputation as a giant of the Nigerian music scene. This was due in no small part to his skillful adaptation of traditional Edo folkloric themes. His outrageous performance style contributed to his reputation as well, including playing the guitar with his teeth and dancing with a small person on stage. Apart from a few records in English, Uwaifo has always performed in the Edo language. An exception is today's musical selection, the outstanding 1986 release Egwu-Ọzo (Polydor POLP 139). In addition to one song, "Eyasodaro," in Edo, it features pieces in the three most widespread languages of Nigeria: Igbo, Yoruba and Hausa. I have heard other versions of the Hausa song "Yarinya" ("Girl"), so I assumed it must be a standard. 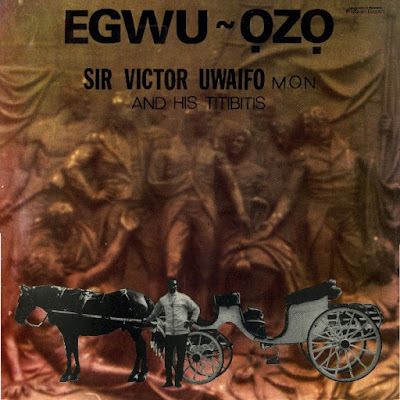 The liner notes of Egwu-Ọzo credit it to the Ishie Brothers, who interestingly were an Igbo group. I suspect they were resident in northern Nigeria in the early '60s, where they gained a bit of a following among the Hausa people. A little search revealed several songs by them in my music library, including "Mafara, Kusa da Sokoto" from the LP Catchy Rhythms From Nigeria Vol. 2 (Philips P 13401 R), which turns out to be "Yarinya" under its original title. 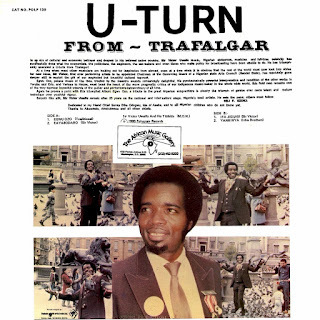 If you're interested in exploring further the music of Victor Uwaifo, something I heartily recommend, a great place to start would be the compilation Guitar-Boy Superstar: 1970-76 (Soundway SNDWCD 012, 2008), the liner notes of which were quite helpful in writing this post. Download Egwu-Ọzo as a zipped file here.